I’m obsessed with eyebrows—that’s a fact that's been well-documented. I’m fascinated with testing the best products and finding the most natural-looking shape, that’s a given, but I’ve also found myself equally as interested in researching their history. Why are brows so important to us? What are all the bizarre facts I never knew about my favorite accessory? Well, after a few too many 4 a.m. Google deep-dives, I have the answers. That, and I chatted with a couple of my favorite brow experts on the subject. Keep scrolling for all the strange facts about eyebrows you never knew you needed. Your brows can have cowlicks. Your brows are more active in the summer. Your brows give you better vision. The shape of your brow bone and the brows themselves keep rain, moisture, and sweat away from your eyes so your vision stays clear. Brow gel wasn’t always a thing. We’re loving this one in particular right now. Never thought about it, right? Just think of all the tourists taking pictures with the painting and never once realizing her famous face doesn’t include the feature we’ve come to love so dearly. But there was a report in 2007 that suggests either Leonardo da Vinci revised the painting (removing the brows) or that they had been unintentionally removed when the painting was cleaned. Eyebrows really do nothing to change your face or eye shape. Strong brows are not just a passing trend. Unibrows were seen as a sign of intelligence. Many cultures throughout history held the unibrow in very high esteem. While we’re more apt to pluck or tweeze, many notable figures exaggerated the hair because it was considered to portray intelligence and beauty. Stress affects the growth of your eyebrows. Your hair follicle attempts to recover the hair after you’ve plucked it. 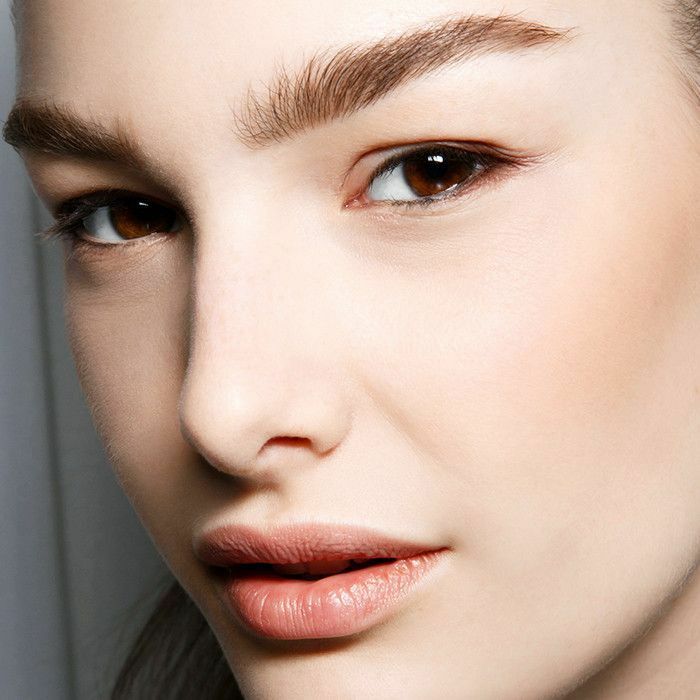 Click over for four sneaky tricks to faking thicker brows.